Caribou Coffee has promoted its president John Butcher, left, to the additional role of CEO. Butcher, who has served as president of Caribou since June 2017, replaces former CEO Sarah Spiegel, who left the role last fall for “personal reasons,” the company said. 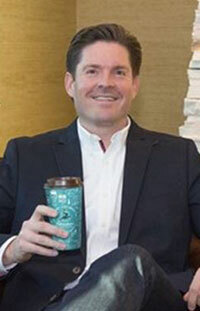 Before coming to Caribou, Butcher spent 20 years in merchandising and marketing roles at Target. He said he is “humbled and honored” to lead an iconic Midwestern brand. Caribou Coffee operates more than 300 company stores and 120 domestic licensed locations in 22 states. The brand also has nearly 300 international locations in 11 countries. Caribou is part of JAB’s Holding Co.’s Coffee & Bagel Brands, a division that also includes Einstein Bros. Bagels, Manhattan Bagel, Bruegger’s Bagels, Manhattan Bagel, and Noah’s New York Bagels.